"latin jazz with an afro groove and a retro flavour"
The French collective Afro Latin Vintage Orchestra make latin jazz with an afro groove and a retro flavour. 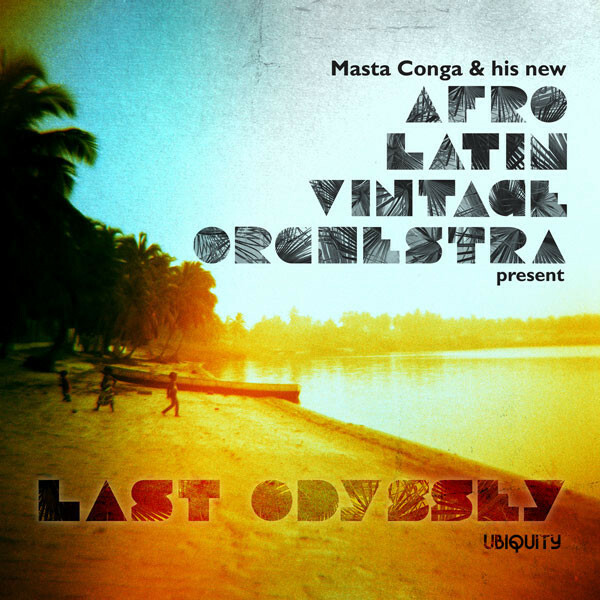 This latest album, “Last Odyssey”, (released on 17th July 2012 on the Ubiquity label) contains 15 tracks which are all instrumental, although with some chorus vocals as part of the overall sound. "from the intimate to the grandiose in seconds"
The music on “Last Odyssey” goes from the intimate to the grandiose in seconds with a band that expands up to 20 members. Lots of influences and creative juices flowing through this album. Their PR describes it as “jazz… laced with strains of Ethio and Nigerian Funk combined with latin percussion and rhythms”. At times there are musical moments reminiscent of the 60s or 70s latin jazz and jazz fusion scenes; at others of 80s and 90s experimentation - but always its own vibe. Elements of Cuban big band swing and charanga orchestras meld with ghetto funk; spacey urban dub leads into an afro-antillean requiem and there are suggestions of orishas and hidden ceremonies in the title track. "heavy grooves, exploratory conversations, wild solos"
“Hip Hop Definition” stretches that very definition with a very oblique take on it. “Spoken Wild” is, well, some wild spoken word over some free improvisation… Jazz poetry en francais. “Latin Break” does what it says on the tin with Peyrot des Gachon’s piano exploring ideas over a lovely groove from the bass, kit and rhythm guitar. Bird-like ocarinas and samba-whistles take us well into the Brazilian tropics, but always just keeping on the jazz side of the path. There are some heavy grooves, exploratory conversations and wild solos throughout the album, but it’s always about the overall sound of the orchestra and the collective odyssey. This is jazz that honours all the ancestors in some way, but although the band’s name looks back, the music take us forward still. Very cool.